- Vimo Documentary by Victor Hugo Ibarra. We host one of the best hoopjam’s in San Francisco Bay Area. Open to everyone interested in learning about hula hooping. All skill levels and flow disciplines are welcome and encouraged to participate, friendly hoopers on location to help you on your journey in hooping. Extra practice hoops available. 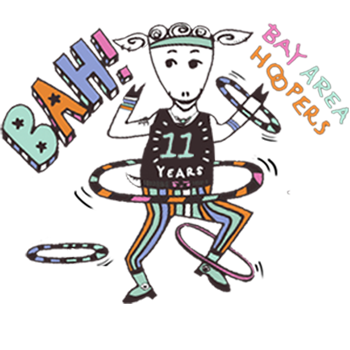 for OUR SUMMER SCHEDULE, SPECIAL EVENTS, CLASSES, WORKSHOPS AND SPECIAL HOOP GUESTS!